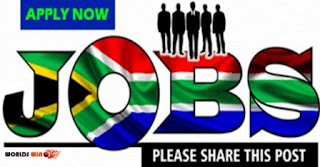 In line with the Employment Equity Plan of the Department of Health it is our intention with this advertisement to achieve equity in the workplace by promoting equal opportunities and fair treatment in employment through the elimination of unfair discrimination. Senior Certificate (or equivalent) with Mathematics and/or Accountancy as a passed subject and/or Senior Certificate (or equivalent) with experience/competencies that focuses on the Key Performance Areas (KRA’s) of the post. Appropriate experience in Supply Chain Management/Procurement Systems. Appropriate experience in asset, disposal management and stocktaking. Inherent requirement of the job: Valid (Code B/EB) driver’s licence. Physically fit and able to perform the tasks (must be able to lift heavy items). Applied knowledge of the Accounting Officer’s System and SCM Delegations of the Department. Applied knowledge of SCM and Procurement Systems. Computer literate (Windows: Word, Excel, Outlook and Share Point). Good written and verbal communication skills in at least two of the three official languages of the Western Cape. Manage Procurement Plan, prepare documentation and capture on system. Manage Asset Disposals and Movements. Stocktaking: Monthly spot-checks, quarterly assistance and management of ALM’s & SALM’s and Annual full stocktake. Assist System controller with all LOGIS system related tasks and enquiries, handle queries in all aspects within the Supply Chain Management Department. Z83 form to: The District Manager: Eden District Office, Private Bag X6592, George, 6530. Shortlisted candidates may be subjected to a practical test. No payment of any kind is required when applying for this post.